Prepare the simple syrup by boiling the water in a pot. Add the brown sugar. Stir until sugar is completely diluted. Continue to cook in low heat until the liquid reduces in half. Set aside. Prepare the mini turon by arranging a piece of sliced banana over a lumpia wrapper. Put a strip of jackfruit on the side and spread a teaspoon or two of brown sugar. Secure the wrap by folding both sides inwards and then roll until the contents are completely wrapped. Seal the end of the wrapper by rubbing a bit of water using your fingers, and then press it gently against the turon. Start to heat the oil in a pan. 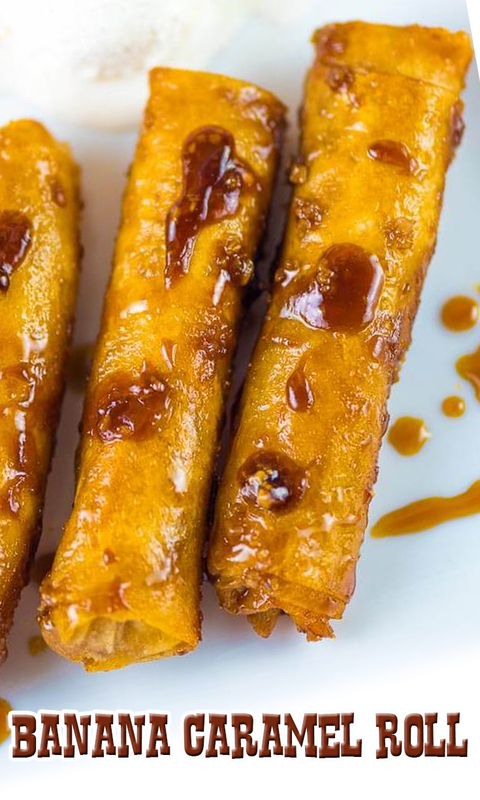 Meanwhile, brush some simple syrup all over each piece of turon. You can also dip the turon in syrup. Fry one side in low to medium heat for 3 minutes. Turn over to fry the other side for the same time or until the mini turon pieces are golden brown and crispy. Arrange in a plate. Serve with scoops of vanilla ice cream.